About a third of community trust board members have been turned over since the Labour-led government took power in September 2017, according to figures supplied by the Department of Internal Affairs (DIA). The DIA data shows 40 of the current 127 community trust trustees were newly-appointed since Labour assumed office with another round of changes due in June. Community trust board members generally serve four-year terms but must gain government approval to secure the much sought-after positions. The notoriously political process often sees the government-of-the-day select aligned parties for the rolling annual vacancies across the 12 regional community trusts. For instance, the government was criticised last year after naming the spouses of two former Labour MPs as trustees for the $600 million Rata Foundation (previously the Canterbury Community Trust). The 12-member Rata board has three or four trustee spots due for renewal this year. About 60 current community trust board members nationally were appointed in 2015 or earlier including at least 13 who have held their roles since 2011. Following the 2018 appointments, three trusts – Wellington, West Coast and Otago – now feature a majority of new board members with five fresh trustees apiece, the DIA data shows. The 14-strong Trust Waikato board also took on five new members last year while Bay of Plenty, Mid and Southern Canterbury and Foundation North each welcomed four replacement trustees. Both the Whanganui and Southland community trusts only took on one new trustee last year as Eastern and Central, Rata, and TSB replaced two board members. 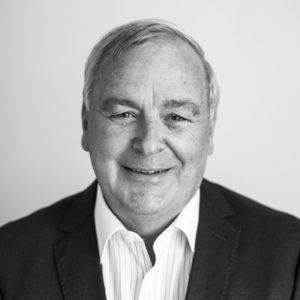 As well as a raft of new trustees coming aboard, some community trusts have also reshuffled board roles including Foundation North (formerly known as the ASB Community Trust), which named John Slater as chair. Slater, a Foundation North Trustee since 2013, replaces Huei Min (Lyn) Lim as chair while Mel Hewitson steps into the deputy chair role previously occupied by Alastair Bell. Long-time Foundation North chief executive, Jennifer Gill , is also scheduled to end her 15-year career with the charitable fund this November. In total, the 12 community trusts – established by law following the sale of regional banks – manage about $3.5 billion, of which more than a third ($1.3 billion) sits in the coffers of the Auckland-based Foundation North.